While trends in home decor often change, there is one constant design feature that continues to shine: metals. Avoid mixing the same color family — such as gold and brass, or nickel and silver. Rather, choose one metal that can serve as the dominant and another to complement it. Achieving the golden look isn’t done through metallic finishes alone. 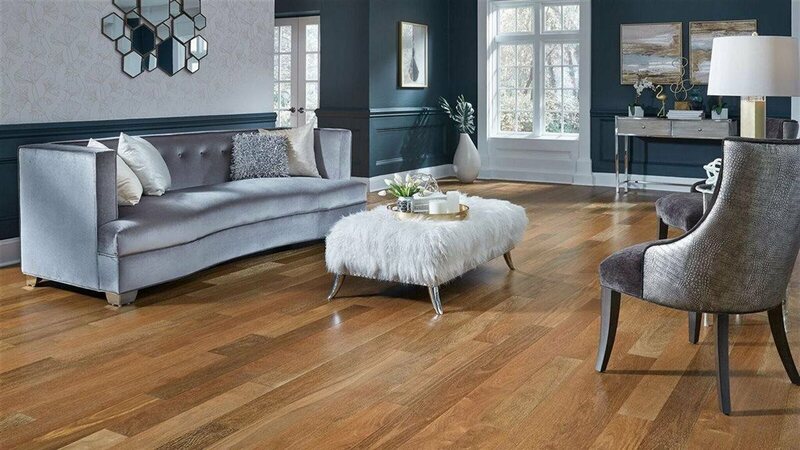 One way to bring the shine to a room is with flooring like Lumber Liquidators’ Gilded Reserve Chestnut, which reveals hints of a glimmering gold stain through its lightly wirebrushed chestnut base. Simple and strategic touches of metal can bring a big impact, such as in picture frames, drawer pulls or door handles, and sink fixtures.